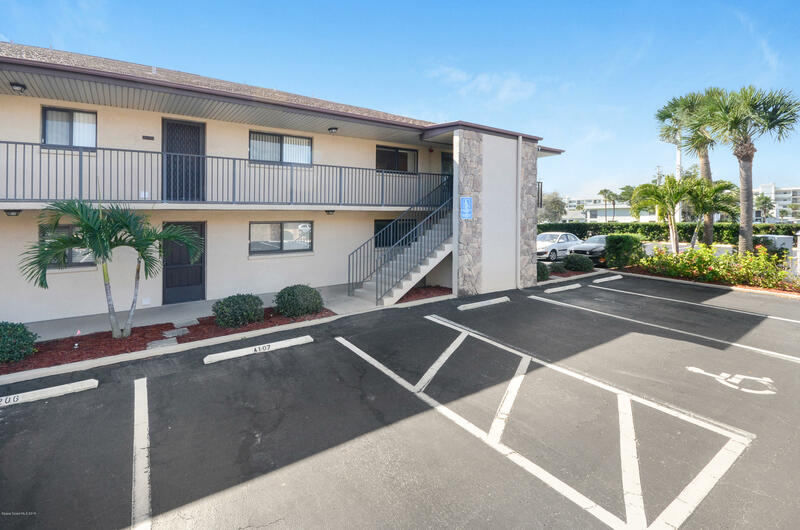 Short steps from your CORNER UNIT to the beach. Private access in a quiet beach setting allows for beautiful sunrises & relaxing walks to soothe your soul. You can play tennis, shuffleboard, and enjoy a relaxing swim in the pool or workout in the clubhouse fitness room. Many upgrades in this FULLY FURNISHED, freshly painted, well maintained unit with wood look ceramic flooring in living area & bedrooms, newer flooring & shower stall in hall bath, bedroom & bath doors, tile backsplash in the kitchen, new stove & microwave in last 2 years - SEE FEATURE SHEET for more! Master bedroom suite with his/hers closets & sliders to the balcony. Living/Dining room combo with breakfast bar makes entertaining easy. Miami/Dade hurricane rated glass doors & windows for quiet & safety. Call to see!